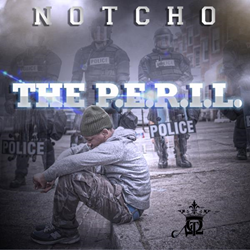 Los Angeles Recording Artist Notcho Releases New Mixtape "The Peril"
Coast 2 Coast Mixtapes announces the release of the new mixtape by Notcho currently seeking blog placements and interviews. Today Coast 2 Coast Mixtapes announces the release of “The Peril”, the latest mixtape by Los Angeles recording artist Notcho. The mixtape is currently available for streaming and download at the Coast 2 Coast Mixtapes website. Notcho is currently seeking press opportunities, interviews, features, and more. Notcho can be reached through his official Twitter page. About Notcho: In response to several incidents of police misconduct and brutality that seem to have reshaped or redefined how the world views American Society, and somehow have catapulted the most powerful nation into a time warp where it has reverted to the days of civil rights movement, Hip-Hop artist Dontray Wedlow, aka Notcho, today announced his soon to be released “mixtape” album, The Peril, which focuses on police brutality and police misconduct. Hip-Hop artist Dontray Wedlow, aka Notcho, interprets today’s music industry as a “diverse mixture,” where artists can constantly generate new concepts, and are free to create—they don’t have to ride in the same lane as anyone else. He is known as a high energy performer whom people can enjoy without even knowing his name. At fifteen, Notcho began developing as an artist when he took notice of the Hip Hop scene. His interest in the industry led him to participating in rap battles. Based on the overwhelmingly positive reactions of peers, he was inspired to pursue his career further. Taking it to the next level, he formed a group with three other musicians named “Triplex,” who performed across Los Angeles. Inspired by his mother’s martial arts teachings, Notcho’s interest in its structure and discipline motivated him to practice and incorporate it into his life. Martial arts became a creative outlet, used to rid negativity and to help build the discipline and character that he is now known for. Notcho went on to share his learnings with others, teaching classes to the youth and performing in-person demos. It was through one of these demos that he was discovered by a representative from boxer Lenox Lewis’ camp, who immediately added Notcho to their team. His new role as a bodyguard for Lenox Lewis allowed Notcho to travel the world, accompanying Lenox Lewis to all of his fights. This experience opened the doors for other bodyguard opportunities where he was assigned to guard some of the biggest names in entertainment. Notcho’s high energy performances captivate his audiences and leave long lasting impressions. A natural storyteller through his music, he shares experiences, and conveys messages of positivity and inspiration. The themes in his music range from pride and family, to politics. Notcho believes the sky is the limit, and sends the message that there is always something to address, someone to relate with, and messages to be given. For all the latest from Notcho, be sure to visit his official website.